A tobacco and mouth-end segment of high-quality crimped cellulose acetate. 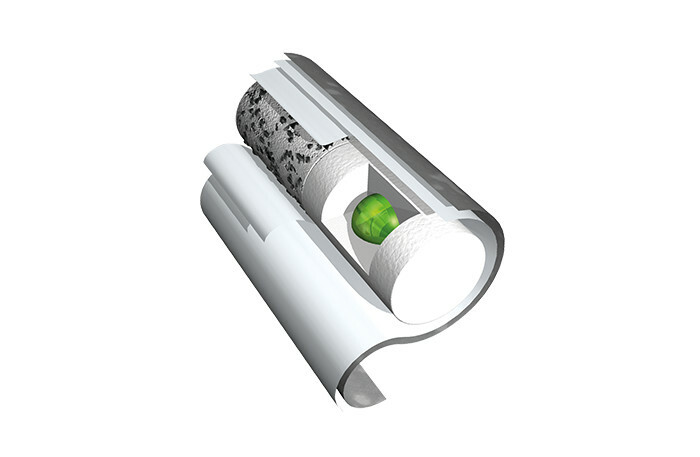 The capsule containing the liquid additive is inserted into the cellulose acetate tow in either the mouth or tobacco-end segments. The capsule segment is enclosed in an outer non-porous plugwrap and the filter segments are wrapped in an outer plugwrap, which can be standard or porous depending on ventilation requirements.